Looking for Phytocannabinoid diols rich Hemp Oil? 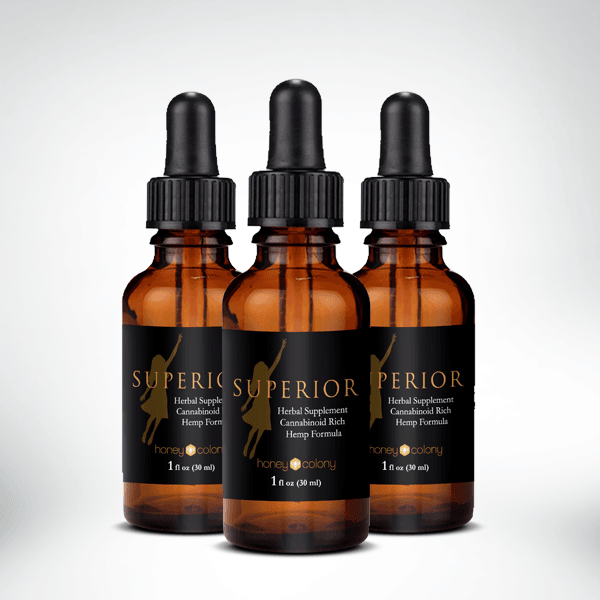 Superior is the result of a collaborative effort to develop a novel, liposomal 10x bio-availability optimized hemp oil extract using exclusively natural, plant-based ingredients in a complete botanical formulation. In addition to faster absorption, our special formulation process allows us to create a hemp oil that synergizes with other medicinal herbs used in ancient medicine. A potent concentration inside of a small travel size bottle. No other product in the marketplace is using this very finely extracted, optimized cannabinoid matrix, and it is being produced according to our specifications, using only natural ingredients in its processing. We understand and recognize the crucial significance of respecting traditional languages of medicine and have actively mixed, tested, and finally formulating a blend using the following six ingredients to ensure our Superior Hemp Oil will enhance, regulate, and support a long healthy life. The phyto-nutrients contained in whole plants are complex and complete. While identifying active principles is a useful research tool, evidence supports the superior therapeutic value of the naturally-occurring synergistic chemistry of the whole plant. In other words, whole plants or mixtures of plants are used rather than isolated compounds. We do not use a carrier. The hemp oil is a 40% concentrate cleaned of extracellular debris. When consumed orally, via digestion, cannabinoids are subject to 85-95% first pass degradation. That means that only 5-15% of the hemp oil enters systemic circulation. A sublingual application is the superior means of delivering hemp oil. Most products in the market simply add their rich hemp oil to coconut oil, often calling it a tincture (it’s not a tincture.) The problem, in that case, is that the hemp, which is an oil, is now swimming in a pool of oil, and the hemp oil simply isn’t able to reach the oil-friendly receptors and achieve significant bio-availability. It’s oil competing with oil (hemp oil is a very potent oil, so there’s a tiny bit of it) and it cannot compete with the volume of coconut oil. Superior Hemp Oil is carried in a botanical glycerite (naturally preserved botanicals in water and non-GMO vegetable glycerin). We offer a fully formulated product, based on both science and traditional use. 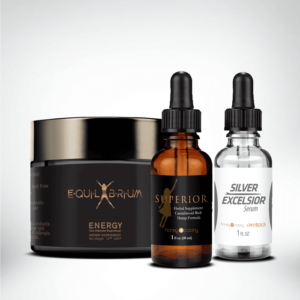 The botanicals in our formula are valuable in and of themselves, and, energetically speaking, necessary to offer a balanced formula. There are currently no terpenes in the original hemp concentrate. Hemp contains few terpenes in certain hemp strains. It is not legal to extract these terpenes for use in any products other than those regulated for seed-to-sale in legal states. Our partner company is currently working on the formulation of a hemp formula including naturally occurring terpenes. Stay tuned. Superior hemp oil does not require refrigeration. 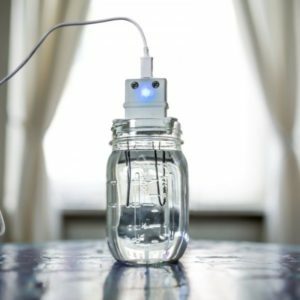 It is formulated to be naturally preserved, though a shelf life must be claimed. Glycerites are easily shelf stable for 2-3 years. Superior is manufactured according to FDA/ DSHEA standards in a cGMP compliant lab. Unfortunately, it is possible for hemp oil to result in a positive — much like eating a poppy seed bagel can cause a positive for opiates depending on the type of test. The federal limit of 0.3% of TCH is allowed. You should use discretion if planning to be tested. *The FDA has not evaluated the validity or truthfulness of these claims; therefore, we encourage you to review published researches relating to the benefits and properties of hemp oils and other hemp products. Many customers have asked us if the hemp oil we are selling is legal to buy in their state or country. Well we have some good news. Due to the hemp oil used to make Superior containing .3% TCH, the legal amount of TCH and only the potent health support without the psychoactive effects, if you live in any of the countries listed in the “Additional Information” tab, we are now shipping hemp oil. Our legal .3% of TCH is also enough to cause the “ENTOURAGE EFFECT,” which promotes it’s health benefits. PLEASE BE AWARE: As buyer, you are responsible for any customs fees or regulations for your country or territory. For a full list of countries we ship to, click here. I have taken this product now since Aug, 2018. I can only contribute it for the fact that I have absolutely no knee joint pain, something I have lived with prior to this product for well over 15 years. In regard to the color, minor variation will occur. with each batch. Do you ship hemp oil Canada?